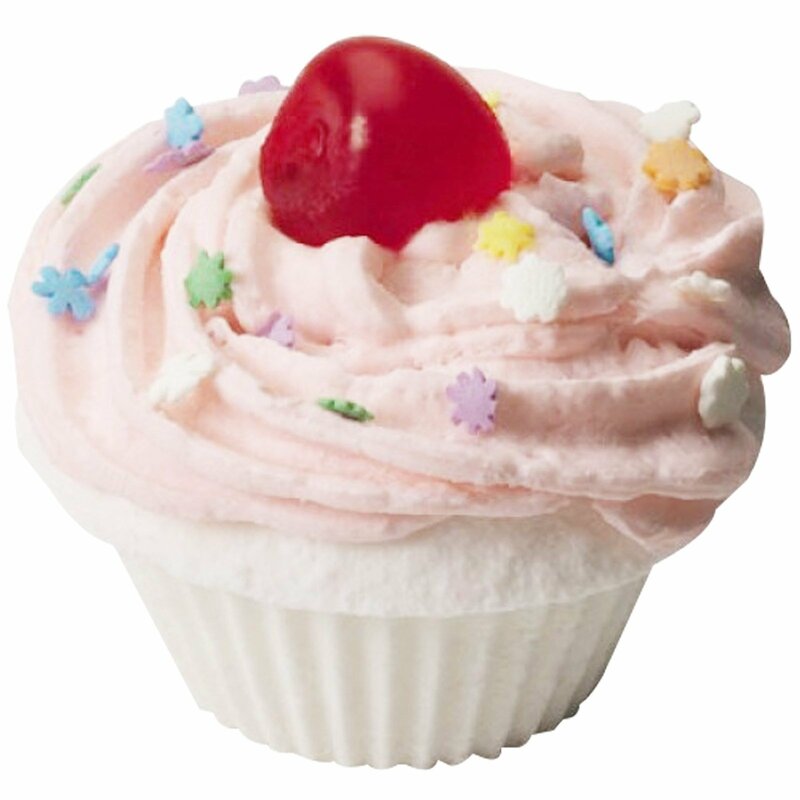 Drop this cupcake into your warm tub and as the "cake" fizzes, the floating soap frosting separates for washing. Drop the cupcake into your tub after filling with warm water. 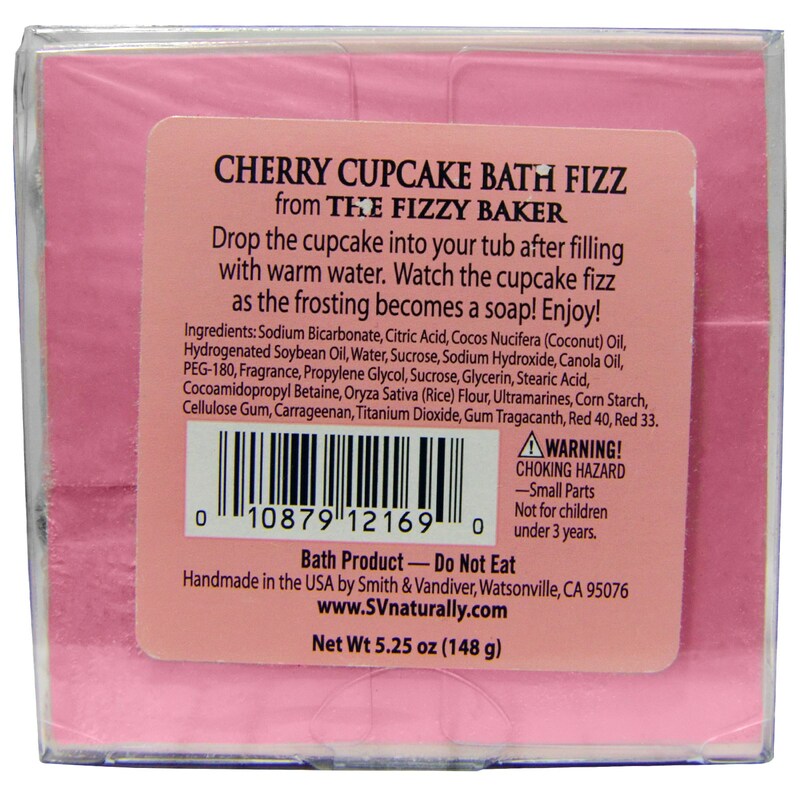 Watch the cupcake fizz as the frosting becomes a soap! Enjoy! Sodium bicarbonate, citric acid, cocos nucifera (coconut) oil, hydrogenated soybean oil, water, sucrose, sodium hydroxide, canola oil, PEG-180, fragrance, propylene glycol, sucrose, glycerin, stearic acid, cocoamidopropyl betaine, oryza sativa (rice) flour, ultramarines, corn starch, cellulose gum, carrageenan, titanium dioxide, gum tragacanth, red 40, red 33. Choking hazard - Small parts not for children under 3 years. Bath product - do not eat.